This classic water feature comes complete with a solar panel, so there is no need to run an electrical cable outside. This means that you have even greater flexibility over where you can use it! It also means that the feature won't impact your household energy bill in any way. Reminiscent of a scene from a country cottage, it is sure to evoke thoughts of a bygone era. This freestanding, self-contained water feature has an old-fashioned tap pouring its water into a wood-effect barrel. It's made of high quality polyresin, making it weather resistant and perfect for outdoor use. Like all our self-contained water features, there is no need to bury a polyresin reservoir, so you can place the feature on your patio, decking, or in a scenic border! Enjoy the calming benefits of listening to the soothing sound of trickling water. This charming feature will provide a soft sound which you can enjoy in the garden or from your patio. 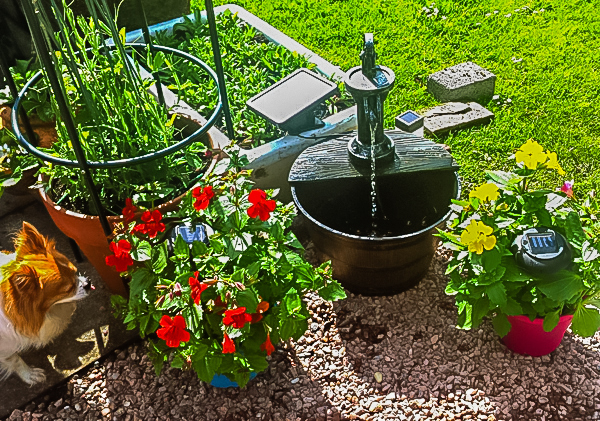 Thanks to Mrs S for this great photo of the water feature in her garden. 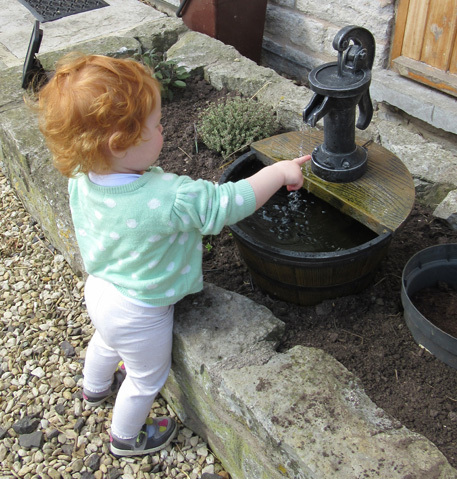 Thanks to Mrs D for this photo of her granddaughter enjoying the water feature. "Really pleased with this item better than expected looks and works very nicely"
"Solar panel seems a bit weak ,doesn't hold any power at all"